The WSM Tuscany II brings a little bit of Italy to your mantle. 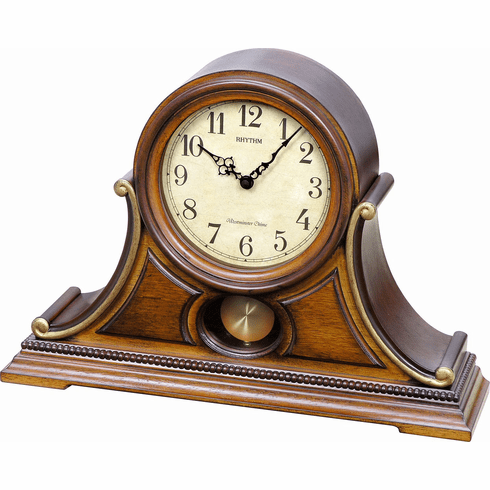 The elegant display of wood and gold on this clock captures the essence of what Italian clock design is today. The clock comes with the signature WSM movement. The movement allows you to play 16 melodies, an hourly Westminster chime, a 4 x 4 chime, or 3 Christmas melodies. Also features an automatic nighttime shut-off feature, a chimes on/off switch, and a glass covered dial and pendulum. Clock is battery quartz operated.